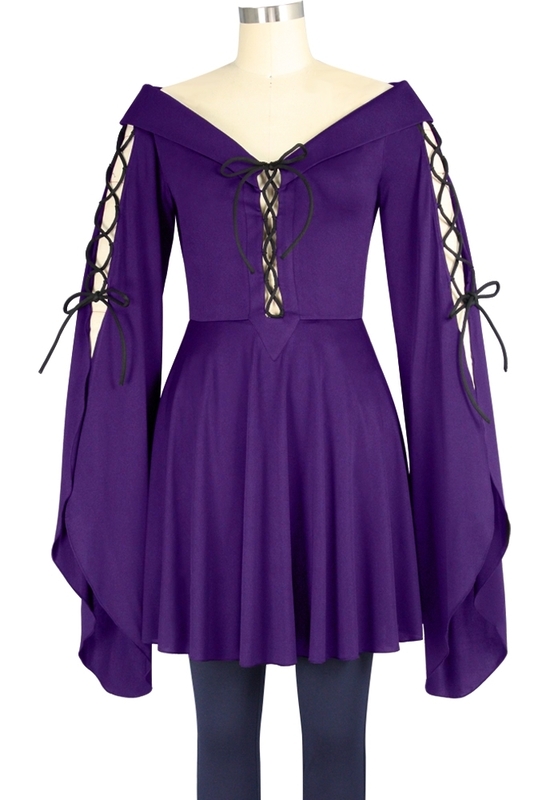 This gothic top features corset lacing cord down the front opening and the sleeve opening. Hidden side seam pockets. Standard size approx. length: 33 inches; Plus size approx. length: 36 inches.